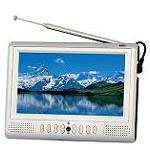 DA701B I can watch Freeview TV in perfect quality where I live and still enjoy the analogue TV at the caravan site where the Freeview signal is not so good. The built-in battery offers freedom to take the TV anywhere I want, so I won't miss the nice sunshine and fresh air in the garden. My husband loves it too and we plan to take it with us when we have holiday in Spain. DA110BD I bought it for my son to use in his HGV wagon. He tells me that it is a great success even without a dedicated aerial. At home it is also excellent. 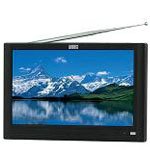 We thought it would be better having a larger screen but the 11" is fine, especially in a confined lorry cab. The DVD plays fine. All in all seems pretty good value all around. DA920A A brilliant product - what more can I say. This portable TV is exactly what I wanted. I can now make my cards and cross stitch whilst watching my favorite programs up in the study. I had to buy more efficient TV antennae and now get all available stations on Freeview. The quality of the picture is excellent. I would not hesitate to recommend this product. 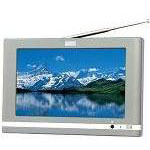 DA700B I found the sleep and wake up function very useful, I like falling asleep while watching TV. It can also be set up to turn on automatically or pop out a message to remind me the show I want to watch on a different channel. The interactive teletext service is very useful as well; easily catch up with the latest news in the world, sports, or what will be on. DA110CD Excellent item, I bought this primarily to use in my camper van. It is just a nice size and fits perfectly on the side wall. The screen and colour are really good. 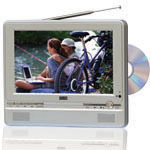 The DVD works perfectly, even the TV reception is good but you do need a good quality aerial to receive a reasonable picture and of course need to be in a good reception area. 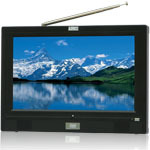 DVB201 Hassle free Freeview viewing. 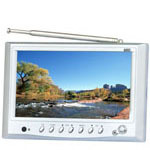 Easy to set up and good reception, as stated by other users, by using the external connection to the aerial, rather than the tiny one supplied. Cannot really fault the item in any way; Remote worked from over 7m length. Great item! Definitely recommend it! PD712A We bought this DVD player to keep our Ben entertained on long journeys in the car, and we are very pleased with it. The picture quality is brilliant, so does the sound, but better sound quality when using the earphone jack. 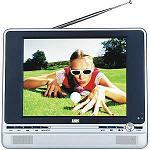 The multi region feature plays discs we brought back from States and it plays DVIX format and recorded discs. The built-in TV function is a good extra to have which means Ben can watch his program and we can watch ours on the big TV.